Who hasn’t heard of the Boeing 787 Dreamliner? It’s promoted as a quieter, more efficient aircraft, but it’s unique in other ways as well. Boeing has always been an innovator, but it’s a more competitive market than ever in air transport, and every moment counts. So the way the 787 is built creates a competitive advantage. The entire plane is constructed from several large sections being shipped from different parts of the world. In order to coordinate the assembly of the plane, and keep to the schedule, each component manufacturer has to make sure that each will fit in the end. Who hasn’t heard of the Boeing 787 Dreamliner? It’s promoted as a quieter, more efficient aircraft, but it’s unique in other ways as well. Boeing has always been an innovator, but it’s a more competitive market than ever in air transport, and every moment counts. So the way the 787 is built creates a competitive advantage. The entire plane is constructed from several large sections being shipped from different parts of the world. Production partners are located in Italy, Russia, Japan, Korea, Australia and the United States. In order to coordinate the assembly of the plane, and keep to the schedule, each component manufacturer has to make sure that each will fit in the end. Boeing needs all the parts to fit within tolerances never before contemplated for large aircraft. Coupled with the all composite construction, and distributed partner production, they need to rely on tools that get the job done. One of the ways they do this is with SpatialAnalyzer® (SA), by New River Kinematics (NRK). When manufacturers use a consistent measurement system like SA for their components, they are ensured a more reliable outcome. The components are delivered to Boeing’s enormous facility in Everett, Washington. In order to be assembled as fast as possible, these components can’t hold any surprises. They must be made to precise specifications and fit together perfectly. The 787 in particular has another hallenge—the material is carbon graphite composite, not aluminum, so once cured its configuration is fixed. This creates increased part precision and tighter tolerances. 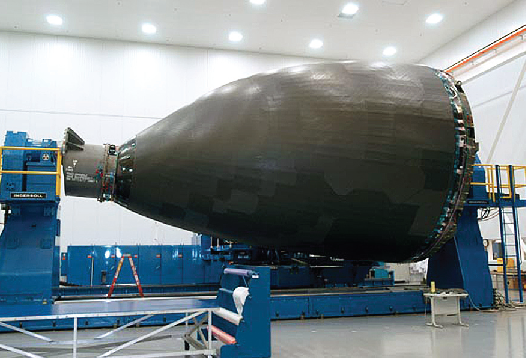 “Companies like Boeing are pushing the envelope and working in dynamic environments. They need to work with suppliers and vendors who are just as dedicated, responsive and able to provide solutions,” Ritter said. Approximately 25 Boeing 787s are scheduled for delivery in 2009—they’re sure to continue to change the face of aerospace, in addition to setting a new standard for design and manufacturing.